Peter Chang, the President and CEO of CDB Aviation, the aviation leasing arm of China Development Bank, one of the three 'policy banks' of the Peoples' Republic of China, has been an active member of the aviation community for the past four decades, starting his career in Boeing, and entering the leasing industry with Guinness Peat Aviation (GPA). He was the pioneer of aircraft leasing in China, having leased the first aircraft there as Managing Director at GPA. He started work at Boeing immediately after graduating in 1979 and his vast experience includes manufacturing, sales and leasing. 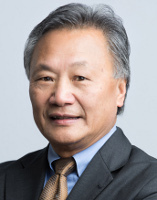 Having long been at the forefront of aviation leasing, aside from serving in China as MD at GPA, he has served as Executive Vice President of Aircastle Advisers and International Leasing Finance Corporation. Prior to joining CDB Aviation he was the Principal for the China Aviation Advisors Group. Mr. Chang was appointed President & CEO of CDB Aviation in December 2016. An active member of the aviation community for the past four decades, Mr. Chang's experience spans manufacturing, sales, and leasing. Joining the aviation industry straight after graduate school in 1979, Mr. Chang began his career at Boeing, followed by participation in the McDonnell Douglas - China MD-82 co-production program (Shanghai). Peter has a long track record with airlines, successfully marketed MD aircraft and as Managing Director for Guinness Peat Aviation, he was the first to start the aircraft operating leases in China. Founder of the China Aviation Marketing Services, a China focused consulting firm which represented some of the industry's most well-respected businesses such as FedEx, Rockwell Collins, ATR Aircraft & Gulfstream. Mr. Chang also served as Executive Vice President for companies including Aircastle Advisers and International Leasing Finance Corporation (ILFC) and prior to Joining CDB Aviation, he was the Principal for China Aviation Advisors Group.